8 5/8 L x 1 7/8 W x 4 1/4 H in. 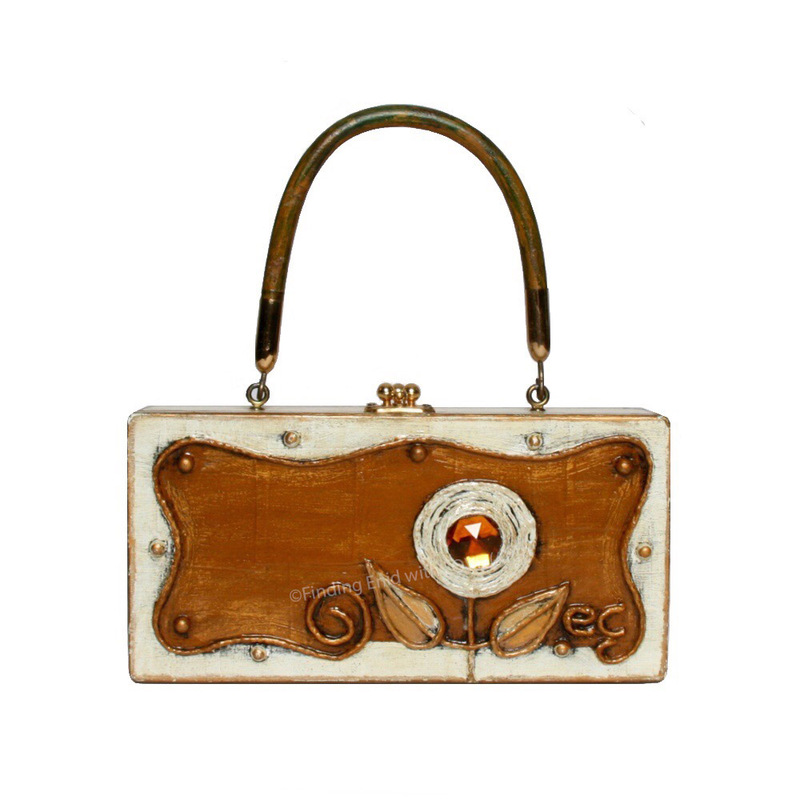 Box purse of solid wood painted in antiqued white and metallic gold and copper. Decorated with a papier mâché flower in antiqued white gold, with a large faux-amber stone in its center. Small, round metallic-gold embellishments. Vinyl handle is antiqued brown.